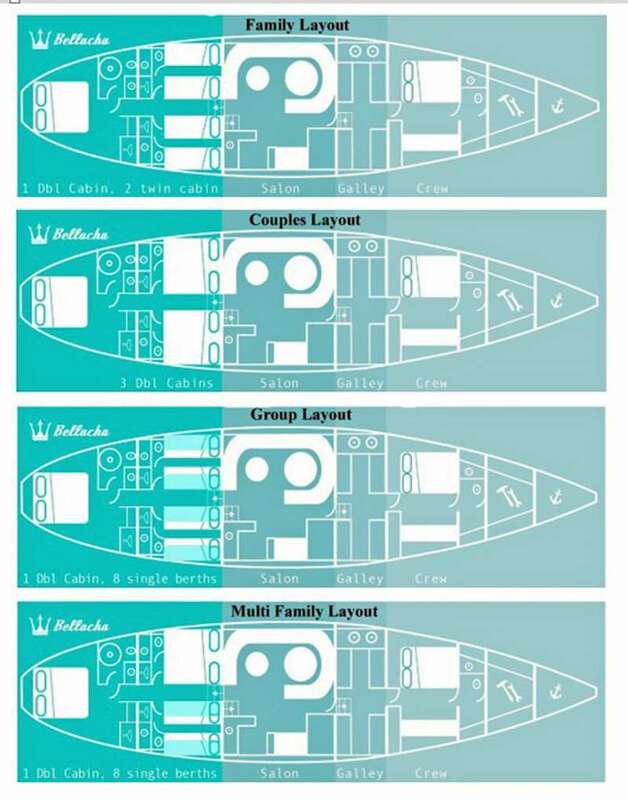 2 identical twins wiith one fixed bunk, one fold down bunk and two single berths that can convert to a queen size berth. Total guest capacity 6-10. Guest toiletries provided. Crew is captain and chef/deckhand with our own accommodation forward of the galley. Danny’s nautical accomplishments began early. He was a keen racer in the Enterprise dinghy class, youth division and won many events. At 14, he became the UK Youth National Champion. He went on to enjoy a naval career in the UK Merchant Navy as a Marine Engineer. He attended Leith Nautical College, Edinburgh, Scotland and UKSA in Cowes, obtaining naval engineering and sailing qualifications, respectively. In addition to a remarkable navy career, Danny is a professionally qualified yacht captain with a commercial endorsement and 30 years of experience. He has captained private sailing yachts, catamarans and charter yachts. He was a Flotilla Captain for eight summer seasons in Turkey and Greece. The Ionian Islands are favorite cruising grounds. He’s definitely a serious sailor, but he’s also funny, enthusiastic, energetic and fun. He is a gentle instructor for those who want to learn something new, and a delightfully entertaining host. 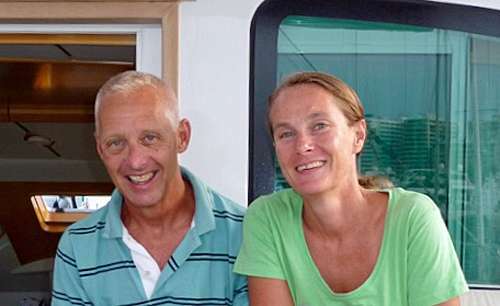 Danny and his wife Lisa are both highly experienced in the marine industry. From 1995-2005 they operated their own charter sailing yacht, an Irwin 52, in Turkey, Greece, Montenegro and Croatia .Since 2005, they’ve worked together as professional yacht crew for private owners in the Mediterranean and the Pacific. Today, they are thrilled to host charters aboard their beautiful, Italian-built, custom-designed, 70’ sloop, BELLACHA. Lisa was born in a land-locked, village in East Sussex , England, called Wadhurst. So, it was by a strange stroke of luck that she learned to sail. She recalls that when she was very young, work began to construct a reservoir by damming and then flooding a valley about 20 minutes from her home. Bewl Water was created, which is now the largest body of inland water in south east England. She says, “The new reservoir gave me the chance to learn dinghy sailing. I started sailing Optimists, then moved on to the Mirror, the Topper, the fireball ,and finally got onto windsurfing.” Thus, her lifelong passion for sailing began. While Lisa specializes in Mediterranean cuisine, she also excels in preparing restricted menus including Kosher, allergy-free, vegetarian, vegan and gluten free meals. Lisa values an active lifestyle and a healthy diet. She believes in the health properties of individual foods and vegetables including ‘super foods. Her goal is to delight guests aboard BELLACHA with cuisine that not only tastes amazing, it makes them feel amazing as well.